Ive been dreading this post for a while now. Because in my mind she is still here with us. I walk into the house (that she shared with my Auntie) and I'm expecting her to walk down the hallway and greet us. On the 18th (Oct) my Grandmother (my dad's mum) was taken to hospital after suffering a stoke and sustaning brain damage. The following day my family went up to see her, we all stood by her bed and cried. 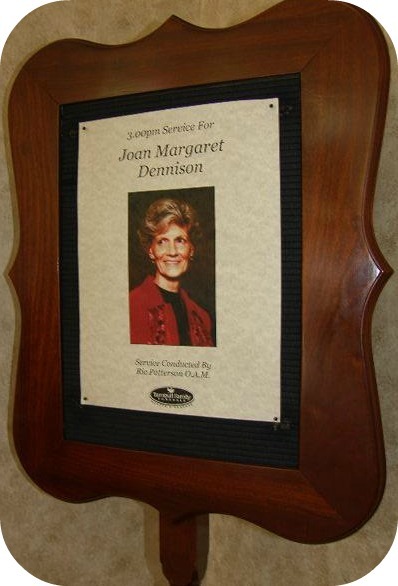 This woman known to all her family and friends as Margaret was my best friend, my grandmother, and so much more! Everday I sat there in the hospital holding her hand. Telling her not to go, telling her I needed her, telling her her life was worth living and she needed to stay. On the 24th I woke up at 6.30 the phone rang, it was the hospital. We raced up there thinking that this was it she was "going" (honestly I dont know how else to write it right now). Again all the family gathered by her bed, we took turns in sitting with her and having breaks, her breathing ext (to me) seemed to settle a bit better, I thought yes! she is going to survive a few more days. Hubby had just finished work and he came into the hospital to come see us and take our daughter home (it was aprox 5.30pm). We got in the car thinking everything was fine and we would see her the next day. Half an hour later (we were nearly home) I got a phone call from my mother saying that she had died. I couldnt believe it, at that moment in time I was glad Hailee was asleep in the back, we pulled the car over and I burst into tears, I was swearing, crying and taking my anger out of the car. Why had she died just after I had left? I still dont fully understand! I sat with her nearly everyday from 11am til 5-8pm. I was so angry with her, my family and god (even thought I dont believe in him) for taking her away while I was not there. I had some good advice and I sum what believe it from family; "They say that when people die they wait til the person they loved the most in the whole world leaves". Still I would have liked to have been there holding her hand. Have you had this happen to you? and do you believe in this statement?. I love you so much Nanny why did you have to die? The last thing she said to anyone was to my daughter "Hi Hailee, I love you" that sentance will forever be etched into my heart. Then I remember the fun had by you and I. But life as they say it just isn't fair. To protect us from above. I 'stood' up there about to say my piece, then I looked over at the coffin and I couldn't breath. I blerted out something like "I wote dis for Nan"... then my night and shining amor came to the rescue THANK YOU HUNNY FOR STANDING UP FOR ME AND READING MY POEM. I am so thankful I had my daughter there, she was my stranght in all of this. She was SO well behaved the entire week I couldnt ask for a more perfect daughter at this moment in time. Even my Auntie (the one who Nan lived with) said to me a few times over the 2 weeks that she was thankful to that Hailee was there. She kept everyone busy and drove us all a little crazy sometimes. This was my Nan too :( I am so sorry for your loss. It hurts like hell - then after a while the beautiful memories start replacing the sadness. I promise. My Nan missed meeting my baby boy by 8 days.